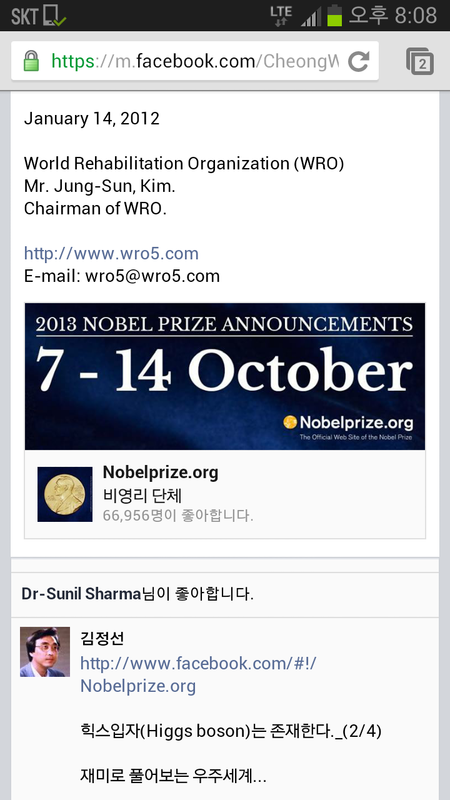 재미로 풀어보는 우주세계.(Mr. 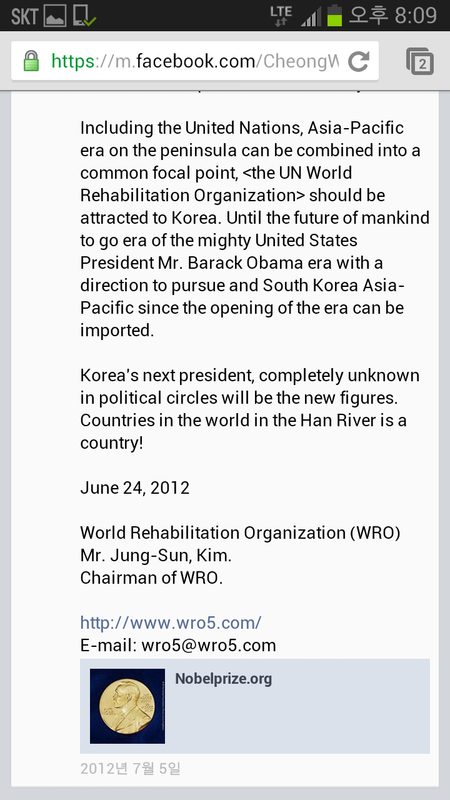 Jung-Sun Kim) <세계재활기구_World Rehabilitation Organization>의 자료를 옮겨 제공합니다. 한국 대통령에 출마한다는 사람들의 우주천체 계와 지구환경에 대한 공상과학차원의 상상력을 테스트해보면 어떨까. 우주질서와 지구환경으로 세계재난은 분초 단위로 닥쳐오는데, 국가지도자가 되겠다는 사람들이 우주천체 계와 지구환경에 대한 공상과학차원의 상상력 정도는 갖추고 있어야 시시각각으로 몰려오는 한반도 천재재난에 대비할 것이 아닌가. 스티븐 호킹 박사의 7가지 정의. 3. 신이 우주를 창조하지 않았다. 4. ‘블랙홀은 검은 것이 아니라 빛보다 빠른 속도의 입자를 방출하며 뜨거운 물체처럼 빛을 발한다.’ 는 학설과 블랙홀은 강한 중력을 지녀 주위의 모든 물체를 삼켜버린다는 종래의 학설. 6. 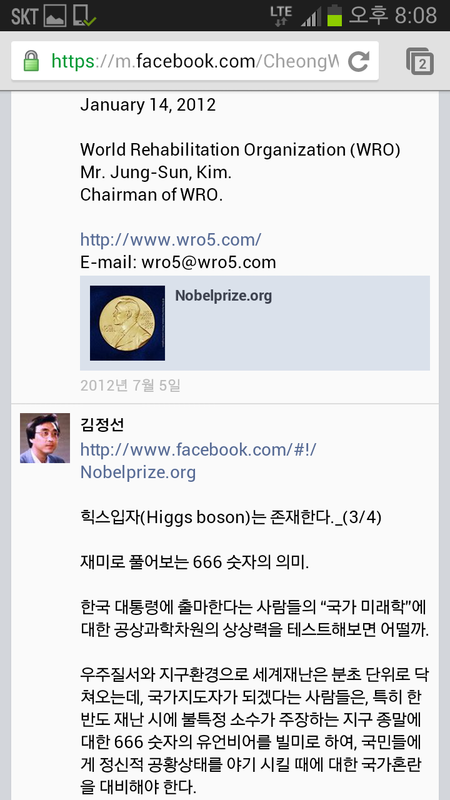 힉스입자(Higgs boson)는 존재하지 않는다. 3. 신이 우주를 창조를 한 것은 아니지만, 신은 정교한 시스템으로 우주질서를 통제하고 있다. 4. 우주에도 질서와 경계가 존재한다. 슬립, 전위상태가 끊긴 지점에 공간들이 다층으로 적체되어, 그 가운데 몰입되는 스크류 와류가 형성되는데 이러한 현상이 블랙홀의 시발점이다. 따라서 블랙홀의 형태는 검은 것이 아니라, 함몰되어진 공간이동 과정에서의 광속 속도의 입자를 방출하며, 스크류 와류상태로 빨려 들어가는 과정에서 보여 지는 형상들을 일컫는다. 5. 지구행성이 소멸된다는 것이지 인류가 종말이 오는 것이 아니다. 우주공학의 발달로 인류는 다른 행성에서 새로운 개척을 하게 될 것이다. 6. 힉스입자(Higgs boson)는 존재한다. 양자 중력 론은 힉스입자(Higgs boson)가 존재하기 때문에 가능한 것이다. 7. 우주에는 인간과 다른 외계인이 존재하는 것이 아니라, 선진화된 인간세계가 존재한다. Korea that the people who run for president Astro Space for the system and the global environment to test the imagination of science fiction What if the dimension. World order and global environmental disaster in the world, in the Fractional Seconds Shut coming, people are to become national leaders Astro Space and Earth system science to the environment must have the dimension of the imagination so constantly moving in the peninsula might have been prepared for natural disasters. 1. There is no afterlife. 2. The universe does not have boundaries. 3. God did not create the universe. 4. The black hole, rather than the black particles emitted faster than light, and shines like a hot body 'of the theory and black holes all around the body goes through a strong gravitational pull of the conventional theory of Linda is swallowed. 6. Higgs particle (Higgs boson) does not exist. 7. There are aliens in the universe. 2. The universe has a boundary. 3. God created the universe, but not one, God has a sophisticated system to control the universe is orderly. 4. In the universe there is order and boundaries. Sleep, the potential state space is lost to the point is the backlog in the multilayer, the immersion of the screw which is formed by the vortex of a black hole, this phenomenon is the starting point. Thus, in the form of a black hole rather than a dark, cave-doe move made ​​space particles emitted in the process of beam velocity and the screw goes in the process of being sucked into the vortex state and be seen, refers them shape. 5. Humanity, not the destruction of the planet that does not come to an end. Advances in Aerospace Engineering from another planet, mankind will be the new frontier. 6. Higgs particle (Higgs boson) do exist. Theory of quantum gravity, the Higgs particle (Higgs boson) is possible due to the presence. 7. Humans and other aliens in the universe to exist, but there is an advanced human world.